When you think action camera, you usually think of a GoPro. That’s all fine and dandy considering that they are the most well known company out there for action cameras but they’re not the only ones who make them, nor are they the most affordable either. There are other makers of action cameras out there that do just as much with most of the same specs and for less. 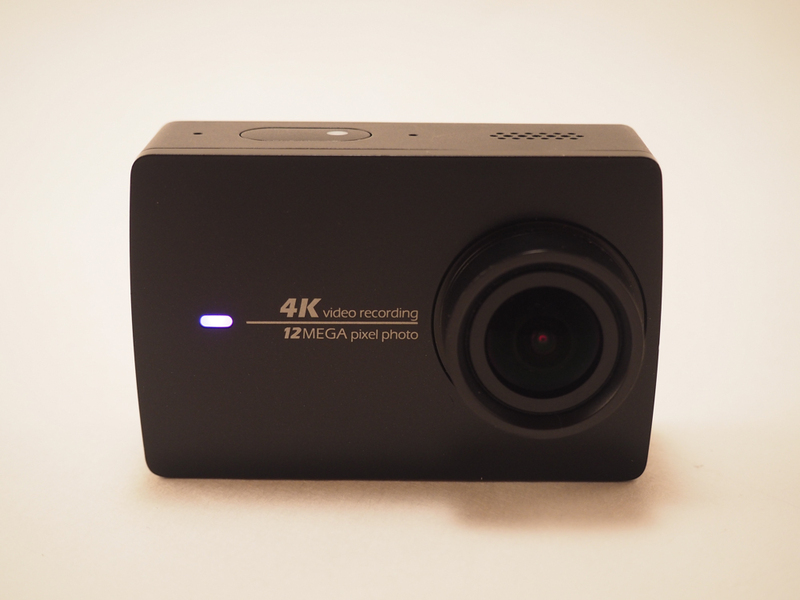 Take for example the Yi 4K Action Camera. This is a 4K Action Camera that has features like a 12MP Sony CMOS chip, a 2.19″ touch screen, 5ghz Wi-Fi connectivity, and a 1400mAh battery for 2 hours of continuous shooting at 4K resolution. All of this for around a bill and half less than a comparable GoPro model. 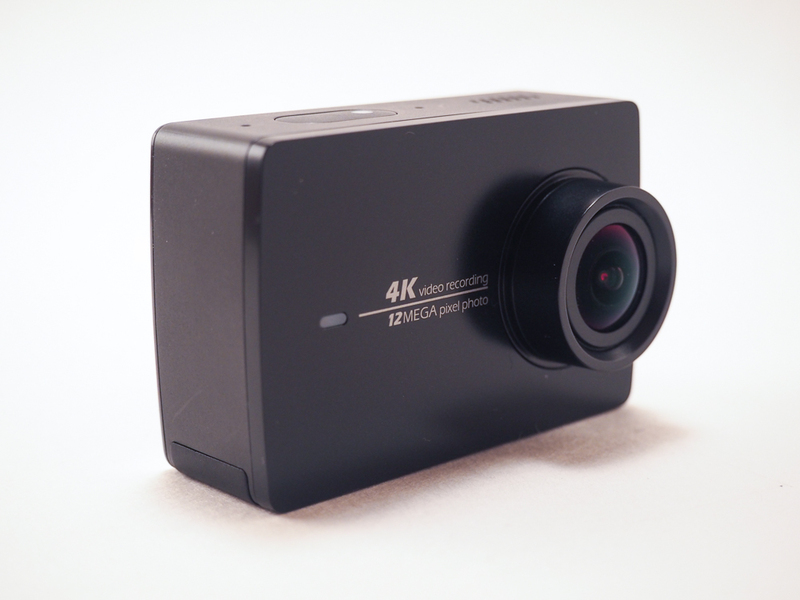 The Yi 4K Action Camera is a tiny little thing, but that’s pretty much the norm when it comes to action cameras. 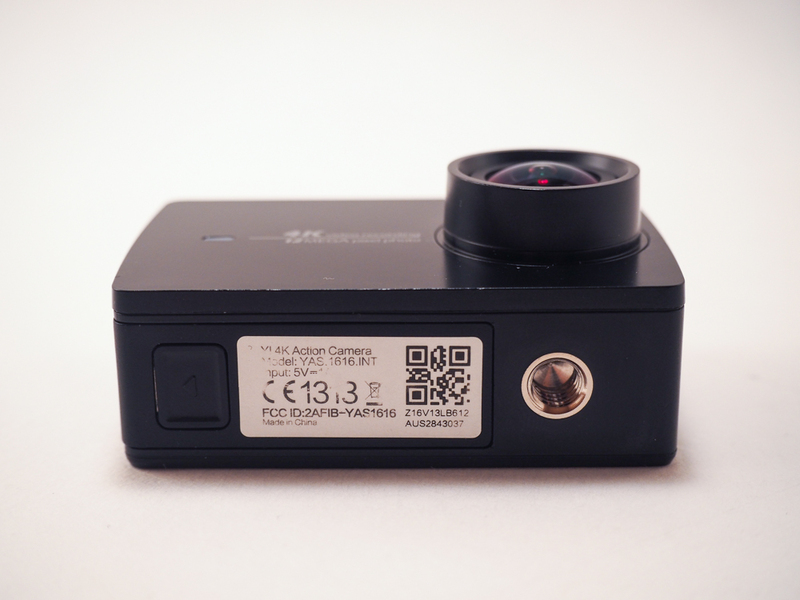 It’s about the same size as a comparable GoPro and at a glance, looks almost like one too. The body itself seems to made of some durable plastic, probably something like polycarbonate while the rear glass on the screen is made of Gorilla Glass 4. What that means is that the Yi 4K Action Camera should be able to take a beating and survive the active lifestyle of the user. The body itself is pretty devoid of any extras with only the bare minimum included. There’s a small LED light up front that lets you know when it’s on and recording while up top there’s the operational button, the mic, and a speaker. On the side we find a little cover that has the USB port underneath and the bottom has a screw mount and the battery/SD card door. 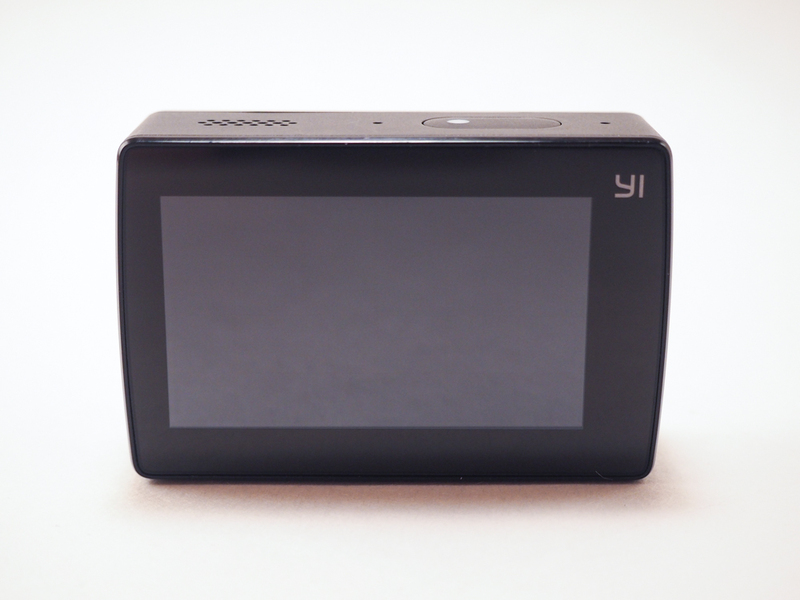 The rear of the camera features just a large touchscreen. It’s a rather clean design, very minimal, but it works and keeps things simple. 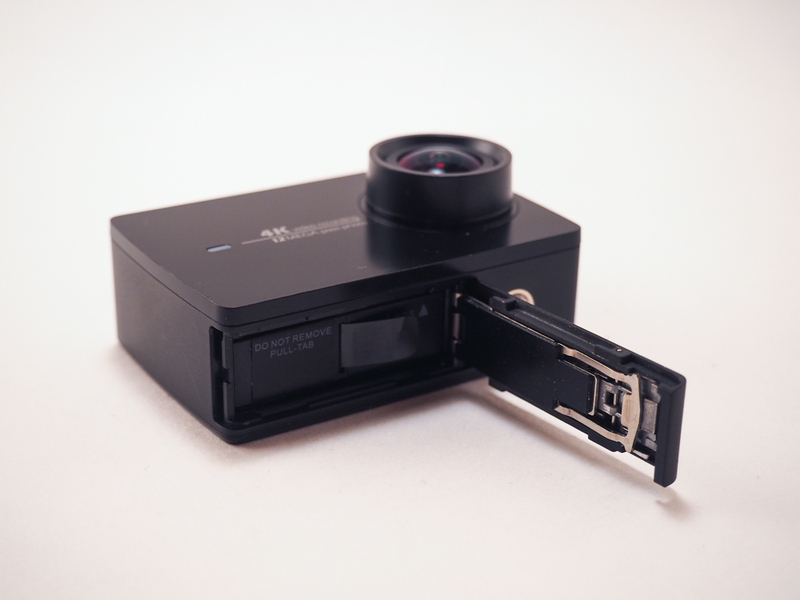 While the body might not look like much, it’s he technology powering the Yi 4K Action Camera that is pretty impressive. The camera features a next generation Ambarella A9SE75 chip, Sony IMX377 image sensor (12MP), and 7 layers of glass lenses. All of that helps the Yi 4K Action Camera record at 4K/30fps at 60mbps, which is 4x the quality of 1080p. It also features a Broadcom BCM43340 chip that supports 802.11a/b/g/n Wi-Fi at 2.4G/5GHz with download speeds up to 30Mbps. That’s some pretty impressive specs and probably why Google is partnering up with Yi Technologies on its 360-degree circular Jump camera rig for VR video. 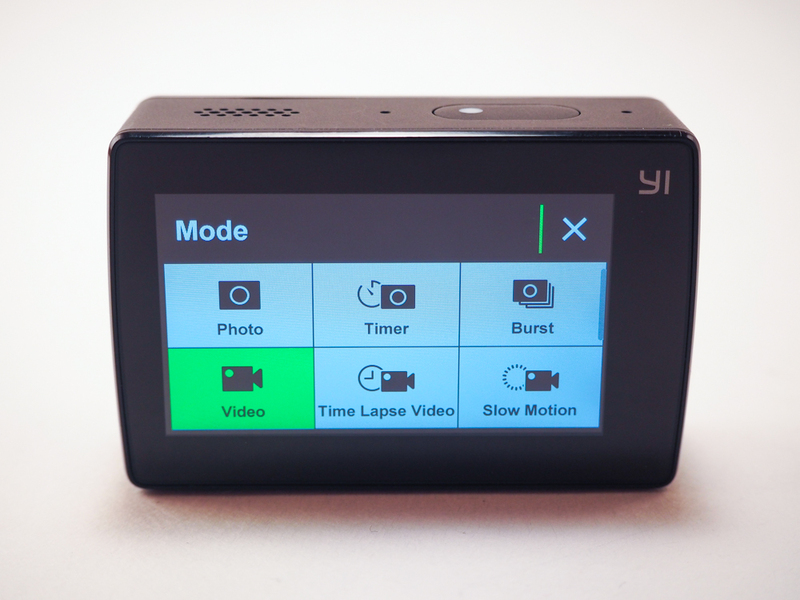 For the most part, the built in software on the Yi 4k Action Camera is easy to use. It’s all touchscreen based so mainly you just choose what mode and quality you want to shoot in. It’s not very difficult to use at all as it is quite intuitive and pretty self explanatory. The UI is also pretty responsive with no visible lag that would slow things down. Aside from what is offered in on the hardware side, there’s also a Yi Action Camera app you can download on either iOS or Android. This app is a little bit different from most other companion apps. For starters, the Yi Action app also functions as a social network of sorts not unlike Instagram. 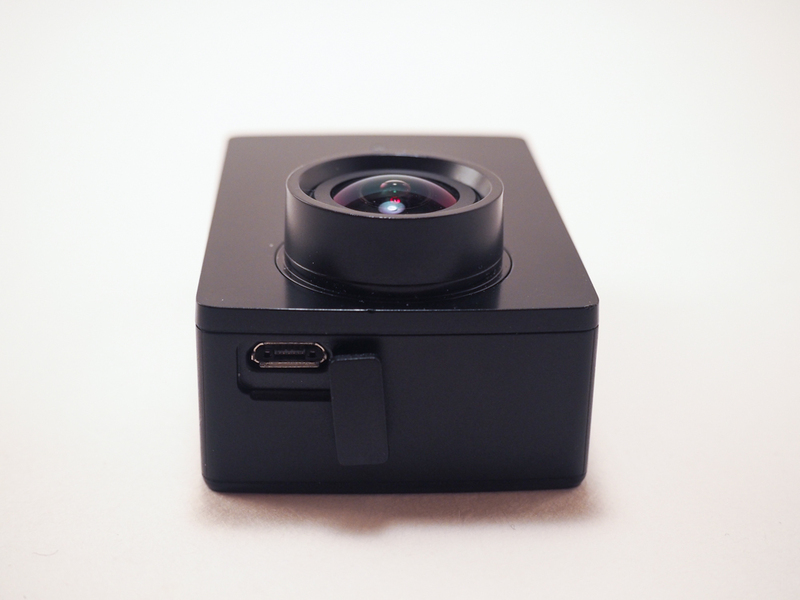 Here you’ll be able to share your videos and images with other Yi Action Camera owners. Thanks to the fact that the Yi Action Camera has built in Wi-Fi, you’ll also be able to transfer your videos directly from the camera to your smartphone through the app. The only small problem you may run into is that if you’re shooting 4K video, the file sizes can be humongous and transferring a file wirelessly that is gigabytes large can be a painfully slow affair. The quality of the videos from the Yi 4K Action camera are pretty good, especially at 4K resolution. However, don’t plan on using this for video of your kid at a school play. That’s because the camera shoots at such a wide angle that anything really far will appear quite small. Unless you’re right up on your subject, I wouldn’t recommend this for something like a play or a concert if you’re sitting far away. Unless of course you don’t really care and are just capturing the experience. What it is good for though is capturing action around you if you’re doing things like bike riding, sky diving, running, etc. Anything where you’re smack in the middle of the all the action. Those type of activities are what action cams are made for and what you should really use them for, otherwise I think you’ll be disappointed with the results. Just keep that in mind when using this and other action cameras. The one thing however that I found totally neat and useful that the Yi Action Camera can do is the ability to instantly correct lens distortion while filming. As you know, with super wide angle lenses, you get some massive distortion at the edges, giving you something of a fish lens type appearance. This looks neat at first, but can make your videos look dizzying. Yi’s Lens Distortion Correction fixes that in real time and gives a much more normal looking wide angle picture. It will still have slight distortion, but not as much as before. The only real issue I had with filming video at much higher resolution is that some computers will not be able to handle them. For instance my work computer will not play any of the really high resolution videos whereas my home computer can. And like I said earlier, the file sizes of the 4K video are huge. You’ll need a pretty hefty memory card if you plan on taking lots of video at 4K. Just keep that in mind when shooting in 4K. I’ve used a few action cameras before, but never a GoPro. In the past, most I’ve used never had a built in screen, let alone a touchscreen and while they were all quite easy to use, not having a screen made filming a challenge sometimes. I will say though that in terms of ergonomics, the Yi Action Camera is really quite good and feels almost like a traditional camera that I’m more used to, just a lot smaller. I’m a fan of being able to slip it into my pocket and its small size means I can take it almost anywhere. 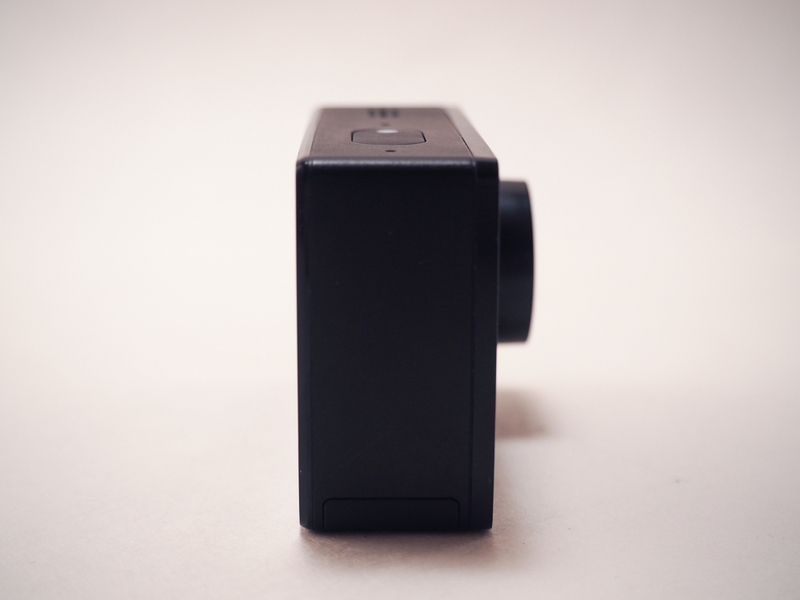 While it is in many ways similar to a GoPro Hero 4, there are some major differences. The battery lasts longer, and much of the tech inside is newer. It even features some stuff not found on the GoPRo Hero 4, like a gyroscope/accelerometer, slow motion mode, lens distortion correction, and image stabilization. 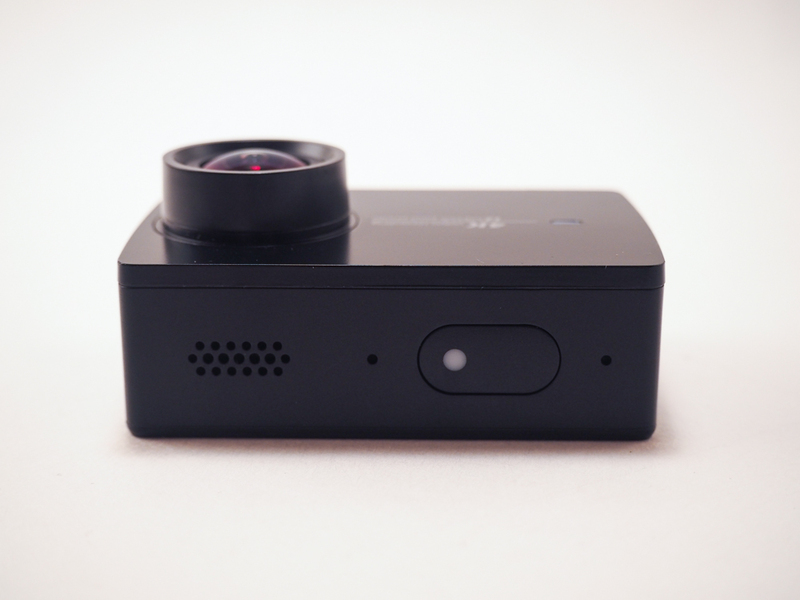 Not only that, the Yi Action Camera also costs less which is always a good thing. Overall, if you’re looking for a very good 4K action camera at an affordable price, check out the Yi Action Camera. There’s much to like about it and there’s plenty of accessories you can buy for it as well that help you extend the functionality of it.